Caribbean Princess emerges from drydock in June 2019, for a season of summer cruises to the sun-drenched Caribbean, The Reef Family Splash Zone will debut offering a refined, playful and relaxing area for adults and kids alike to gather and enjoy the sun and water together. – Fast ship boarding with OceanReady™ – guests who arrive at the terminal with travel documents (i.e. passports) uploaded to their profile have an expedited check-in process that starts their vacation with ease. Personalization starts pre-cruise by guests becoming OceanReady while at home. – On demand beverages – using smart devices, guests have the ability to order drinks using OceanNowTM and have them delivered directly to their location throughout the ship and even in their stateroom. – The best Wi-Fi at sea: MedallionNet™ – fast, reliable, affordable and unlimited, MedallionNet provides land-like speeds that allow families to stay connected from anywhere on the ship including staterooms which are each equipped with a Wi-Fi access point. With MedallionNet guests easily share vacation experiences with friends and family back home, stream TV shows, movies and sports events, and even make voice and video calls. – Locate and chat with friends and family: OceanCompass™, available on guests’ smart devices and portals throughout the ships, leverages the OceanMedallion to enable point-to-point wayfinding throughout the ship. OceanCompass guides guests throughout their journey, providing directional information so they can seamlessly navigate to their next point of interest, as well as easily locate and chat with friends and family on board using ShipMates. – Stargazing at Sea & Voyage to the Stars Indoor Planetarium – Science Channel and Princess Cruises take guests on a cosmic voyage looking at the sky from the top deck on an interactive guided tour with a – — – Stargazing Specialist, identifying major constellations and learning the secrets of the stars and the folklore around them. The indoor “Voyage to the Stars Planetarium” displays real-time images of constellations and planets. Both indoor and outdoor stargazing includes commentary from Discovery at SEA’s Science Channel Ambassador Astrophysicist Dr. Hakeem Oluseyi and Kari Bryon from Mythbusters. – Discovery Hit Shows – Discovery at SEA incorporates content from hit shows and programming like Shark Week, Finding Bigfoot and Mythbusters through activities, challenges and trivia. 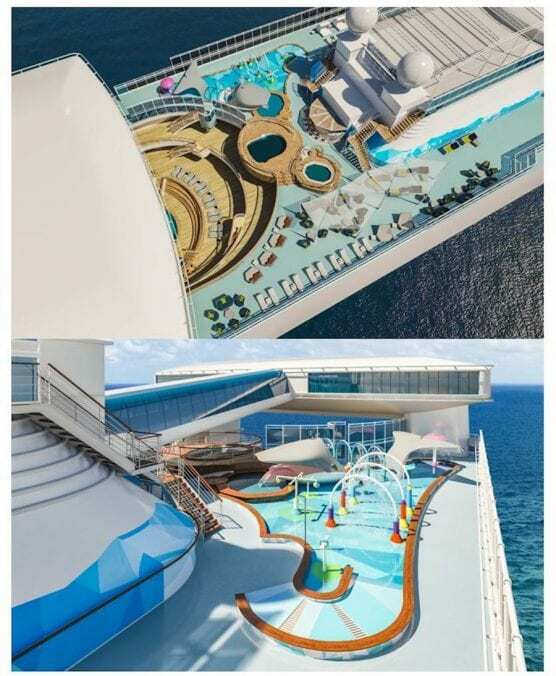 Learn more about The Reef Family Splash Zone and Princess Cruises other family offerings at https://www.princess.com/ships-and-experience/onboard-experience/kids-and-teens/.